Nathan Coulter-Nile, who was picked this week for Australia’s one-day and Twenty20 tour of India, was taken to hospital Saturday after a bout of vertigo during a Big Bash League game. The Perth Scorchers fast bowler had delivered the fifth ball of his final over late in the Twenty20 match against the Adelaide Strikers when he signalled that all was not well. After consulting with Perth captain Mitchell Marsh, he bowled the sixth ball, which was hit for six, before sinking to his haunches and sitting on the ground. 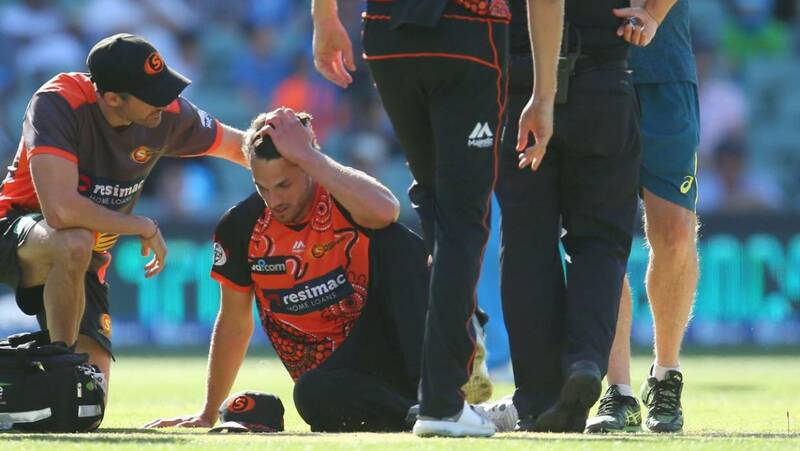 Scorchers physio Chris Quinnell said Coulter-Nile had suffered a “bad bout of vertigo”. “He was taken to hospital after the game as a precaution and will be monitored over the next few hours,” Quinnell said on the BBL website. Coulter-Nile’s inclusion in Australia’s squad for the India tour came after he was left out of recent home limited overs internationals with back issues.